How every Question became a Wonder! Sometimes some unfortunate events may help you get back to the right track. My introduction to the world of Art of Living was also analogous to what I said above. It was not easy for a boy of 19 to come out from a world of disappointments and regain the confidence one needs to succeed in life. Success was a word to me written in dictionary and not in reality and it was during these hours of fiendish truth that I came across a suggestion to join a Part I course of AOL. I knew very liitle about these organization at that time nor I was much aware of its founder His Holiness Sri Sri Ravi Shankar. Sri Sri to me before was a man whom I saw in TV a few times in white robes and beard talking on spirituality. So on a Tuesday evening in July 2010, I went to attend the first session of the Part I course with my mother without an inkling of the sea-change which was going to happen in my life in couple of days time. The first day was interesting with talks on values, ethics, spirituality which constituted the key course points. What I found was like a counseling session going in but in much more interesting manner with everyone participating actively sharing problems. There was a big picture of Sri Sri kept right in front of us and even unknowingly it kept attracting my attention. Something I liked in that is the smile of Him in the photograph which started to make me feel at ease and better although I didn’t understand how it was all happening. Was excited to do the Sudarshan Kriya which I had heard earlier, was the nucleus of Art of Living courses and the impact was immediate once I opened my eyes after my first experience of the Kriya. I had several questions in my mind prior to the start of the session and somehow all of them seemed to have vanished with a sense of calmness prevailing. I felt like an hour back, I was with a mountain of questions, pressure, anger on my head and now from no where I have ended up being at a sea of happiness and peace. The more sessions went, I started to feel better and a sense of surrender grew in me towards Gurudev. At the end of the course, the biggest impact was the change in approach of mine towards life, something which I had been looking for since a few years. If that was the start of a new journey, then the road was surely not the most easiest. Constant hurdles came in my way but always realized that He was protecting me from adverse situations numerous times in the last couple of years. Quite amazingly I felt his presence all the time and even whenever I felt like meeting him in person, surprisingly he always had a Kolkata trip right after that. That’s how Guru’s grace work! Today when I am writing this, I still remember the grim face with which I sat at a corner on the first day of my AOL journey with a life full of uncertainty and questions. 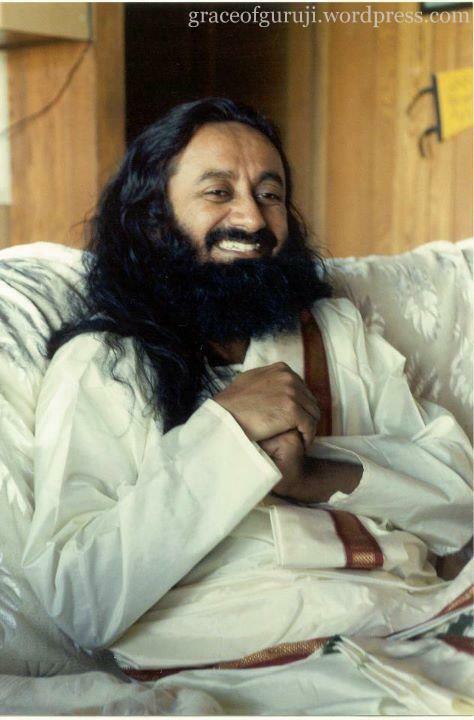 But it was Gurudev’s blessings which made me familiar to a world with a plethora of joy, a world of peace, tranquility, harmony, a world where seva is the religion one follows, a world where love is the language universally accepted, a world where under the teachings of an enlightened master, all questions become a wonder! Have a feeling of sharing your own Guru Story? So what are you waiting for? Pen it down and send us a mail on experiences@graceofguruji.org and we will share it with everyone! You never know who get inspired after reading your story! ← Meditation is not serious, seriously!